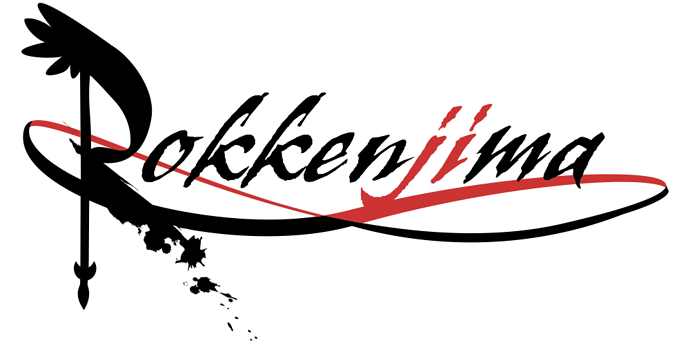 Welcome to Rokkenjima! That’s really cool that you do cosplay. Hope you enjoy it here. Anyone who can make this community great is always welcomed. Post to whatever topic you like. Welcome to Rokkenjima, @Rena-Ryuugu! I’m glad you decided to join in our tiny little fragment. Now is a great time to join in, as we just began our Higanbana Bookclub! So, how that works is we all read (or reread) Higanbana together and then give it as much love as possible! You can discuss it in threads, or make some awesome fanart! Either way, the top contributor will win a prize, so please, participate in the Bookclub! It’s a Rokkenjima wide event, and it’s really fun even when you don’t win. Besides, Higanbana needs all of the love it can get! You can also check out our prior tea parties that we’ve covered! So far we’ve read Umineko 1-4, Higurashi 1-5, and the newly translated Higurashi arc, Someutsushi together! You can read up on all of crazy theories by reading the spoiler free topics or by checking out our podcasts! And if you want to help host the upcoming Higanbana podcast, you can! If you’re a veteran, then I recommend checking out our spoiler topics for Higurashi and Umineko! You can also talk about why the Umineko anime failed in comparison to the Higurashi anime, try to explain Umineko in 50 words or less, talk about your favorite scenes for both Higurashi and Umineko, talk about the moments that made you cry, talk about the Umineko 10th anniversary and the Higurashi 15th anniversary, and discuss your favorite characters! You can also check out the latest we know on the next installment of When They Cry. There are plenty of ways to immerse yourself into our community! You can talk all about books, cooking, writing, movies, pets, caffinated beverages, pizza, the original vs the updated sprites, even how much (or how little) you sleep! Oh, and once you get witch rank (which takes like a week, you won’t be able to access the topic until then), you should totally post yourself cosplaying (or at least just show us the cosplay outfits if you are shy)! You too, @Arietta! I’d love to see the cosplay you two have created! Hi there my name is Farispie, and I have been an avid of Ryushiki07’s works since I got into the world of visual novels ~8 years ago. I am a 23 year old Canadian male who has been obsessed since. I have read the entirety of Umineko, Higurashi, Rose Gun Days, and Higabana. I am looking forward to when they cry 5, whenever that may be. I found Rokkenjima through Aspirety’s twitter account pretty much. My absolute favourite work of 07th expansion is Umineko. I love how the game presented its narrative and it forces you to solve the mystery on your own. Hello farispie, welcome to Rokkenjima! One of our mods will be making her regular rounds soon with her loads of interesting links you may enjoy, so please, look forward to that. In the meantime, I’d suggest you get yourself an avatar. Its the easiest way we have to identify members. Hi, @farispie! Welcome to Rokkenjima! So many new people joining lately, it’s really exciting! I’m glad so many people have decided to join into our tiny little community. It’s awesome to hear you’re a veteran for both Higurashi and Umineko! Since you know all of the secrets for both of these series, I recommend checking out the spoiler channels for them! Of course, you can also check out threads on the Higurashi 15th Anniversary and the Umineko 10th Anniversary, 07th Expansion music, your favorite scenes for both Higurashi and Umineko, the moments in when they cry that made you cry, how you found 07th Expansion, explaining Umineko in 50 words or less, even your favorite characters! You can also check out the lesser known 07th Expansion works like Rose Guns Days, When the Game Ends, Iwaihime, TRianThology, and Hotarubi! And of course, we also have the latest news on WTC5! We have a lot of non-07th Expansion stuff too! There’s threads on writing, books, movies, music, cooking, MBTI, astrology, visual novels, pets, pizza, your least favorite day of the week, even your hobbies! We have a little bit of everything for everyone! Now go, make some new friends! Everyone here is super friendly, so I’m sure they’ll be as excited to get to know you as I am! Woah, a fellow Canadian! Hello there. Ah, I apologize. I forgot the proper, formal Canadian greeting. Too busy feeding poutine to my moose. Sorry, eh? Look out, I might grab my Reinhard images and randomly hurl roleplaying at you at this rate! Nah, just kidding. Nice to meet you, I hope to see you around more often! Oh my beastly companion, I see you find the tale of the Golden Witch to be a rather enthralling venture. Will you find the tale to stir you beyond your memento mori? Alas, as I am plagued from foreknowledge, the proposition seems impossible. Yet, while we wait for our Dies Irae as foretold by Dabid and Sibyl, let us hope for a entertaining interlude to that glorious grand guignol in the Witch’s Beria’h. It is indeed quite the thrilling sequence of events, I appreciate the motion you raised to embark here. In addition it seems that the higher plane of this wide Ocean allows a temporary escape from that accursed ghetto. A slight irritation that I’ve discovered is that if my feet touch dry land for too long then that foul feeling of foreknowledge begins to encroach on the corners of my senses yet again, but the solution to such an irritation is fortunately rather obvious. Alas the time to return to Shambhala is fast approaching. I hope your substitute is ready for our Opera to begin in earnest. Hello @PICTO_BEGUILINGLIGHT! Welcome to - wait a second… You already have an account here! In that case, I advise you show your true form to our new guest and properly say hello, assuming you haven’t already done so. Hiding behind the mask may be fun and all, but it should probably be used for gameboards, not in the place where we introduce new members into our community. That said, if you wish to continue the fun Dies Irae conversation, perhaps you should take it to the general visual novel topic? Right got caught up in the moment there. In any case, thanks for the colorful welcomes everyone.